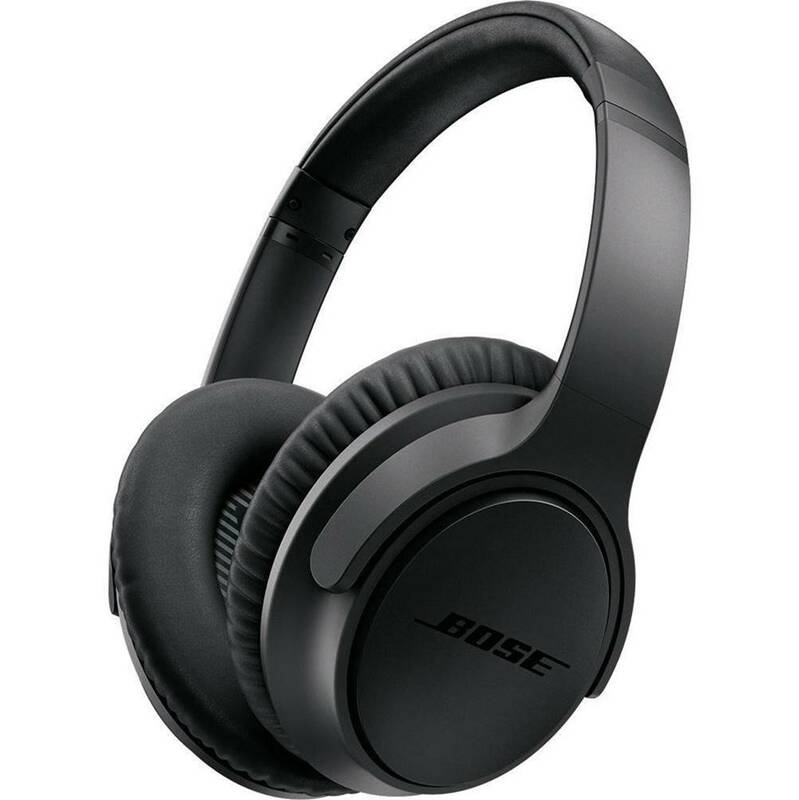 Here are the best Bose headphones that deliver superb sound quality and performance, and are highly comfortable to wear. These headphones are perfect for music lovers and audiophiles, delivering crystal clear sound performance and soundstage for a wide variety of music genres. Our experts have tested these Bose headphones to determine which ones have the best value and provide exceptionally clear sound performance. Furthermore, some of these Bose headphones come with noise cancellation functionality which makes them great for quiet listening and study. If you are looking for the best Bose headphones that truly stand out from the competition, be sure to check out our top picks below! The Bose QuietComfort 35 is a pair of wireless headphones with many features that create a great listening experience. It has a well-designed and well-integrated noise cancellation system that allows users to choose between three levels of cancellation so that it is suitable for the surrounding environment. This features works very well because of the built-in microphone which pickups up on all the details the surrounding sounds and passes them over to an algorithm that inverts the polarity of the microphone’s output that results in the cancellation process. In terms of sound performance, the Bose QC35 delivers exceptionally clear sound quality with crystal clear highs, crisp midranges and deep bass performance. These headphones sound great for a variety of music genres including rock, pop and hip-hop. The noise cancellation technology works great to block up to 95% of ambient background noises and is great for study or listening to audiobooks. In terms of sound quality alone, the Bose QC35 has some of the best sound we have heard and tested. A separate microphone is dedicated for picking up the voice so that it enables a hands-free calling experience and interaction with Alexa that can enable voice control of music and information. The headphones have a closed back, which means that there is little to no spill from the drivers onto the outside world, and also keep a focused and precise sound that is projected directly into the listeners’ ears. The Bluetooth connectivity is reliable and easy to manage through the Bose Connect application. The application also provides additional functionality such as personalized settings and access to system updates. 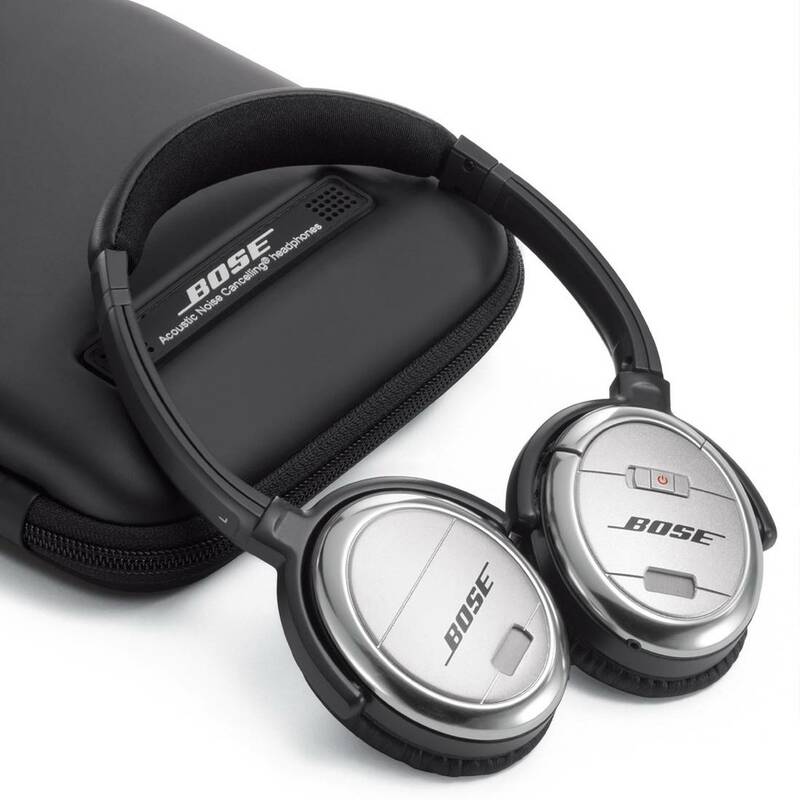 The Bose SoundTrue are a set of well-performing headphones that have been designed for comfort and convenience. They are well-integrated with Apple devices such as iPods, iPhones and iPads which are compatible with the headphone’s microphone and can be controlled with the inline remote. These over-ear headphones feature a soft-padded headband and memory-foam ear cushions that adapt to the listener’s ears for a truly bespoke audio experience. 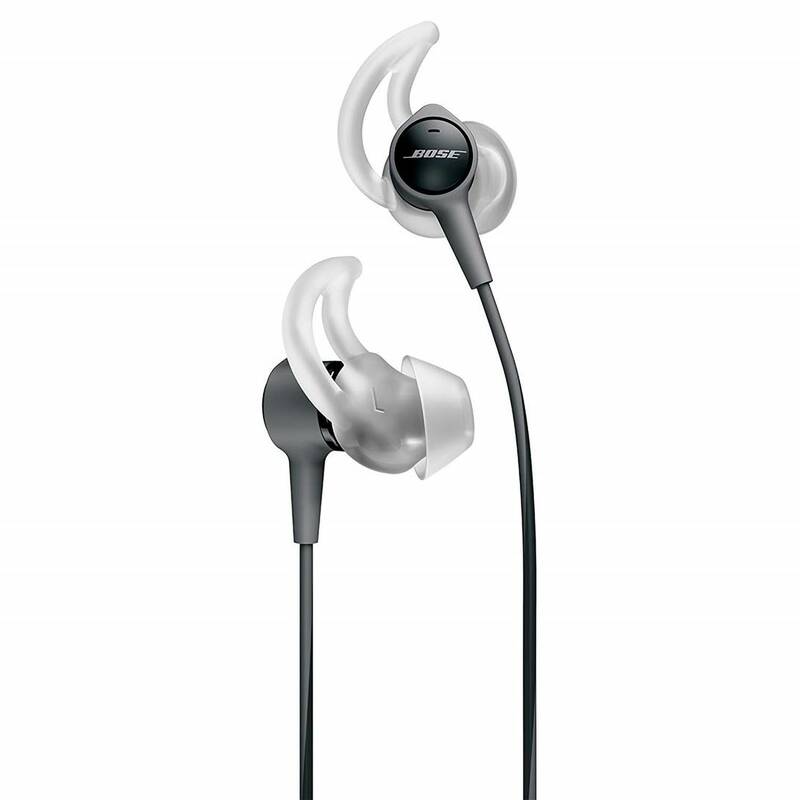 The Bose SoundTrue has a well-balanced sound signature with crystal clear highs and crisp midrange. The bass response on this headphone is decent but not overwhelming; it’s great for those who enjoy listening to classical or instrumental music with a good level of separation. The level of soundstage that we got from these headphones is very good, and you get a sense of where each sound is originating from. 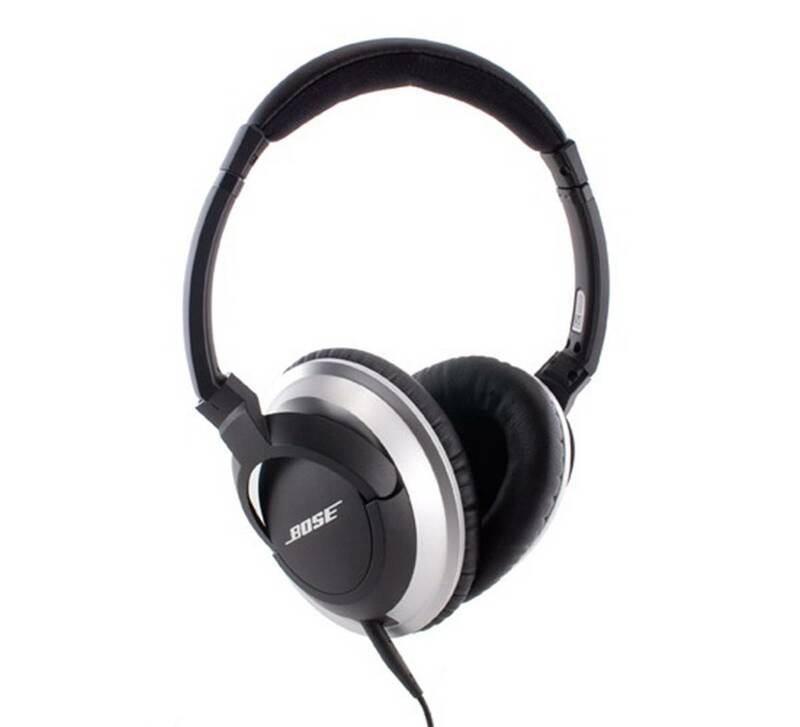 The Bose SoundTrue headphones are made out of high quality materials and are durable, able of withstanding daily usage such as travelling and commuting, without the users having to worry about damage to their headphones. They also have foldable earcups which make them easy to carry, and they come with a matching carrying case for secure storage and transportation. The TriPort technology enhances the listening experience by bringing out subtle details in music which do justice to the record in a way that the artists and engineers have intended. The closed-back design of the headphones ensures that there is no spill from the headphones, which makes this pair of headphones even more suitable for usage in outdoor environments and public spaces. 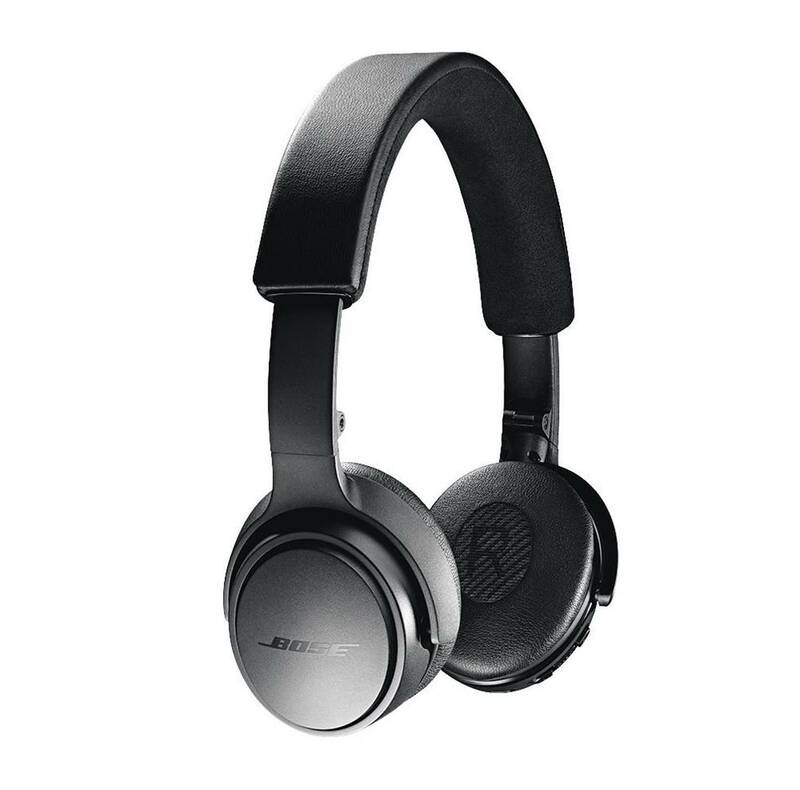 The Bose Soundlink are a pair of around-ear, closed-back, wireless headphones that have been designed to produce a great audio experience, which is delivered through great features. Despite its closed back design, this headphone has relatively good soundstage and stereo separation. It fires audio right into the ears of the listener without any distortion or harshness, creating a deep and immersive sound. In terms of sound performance, the SoundLink works great for almost any music genre including rock, pop and electronic dance music with crystal clear clarity and punchy bass notes. The headphones also provide a good deal of soundstage which makes the sound feel vibrant and lifelike. These headphones connect wirelessly through a well-integrated and reliable Bluetooth technology that has no transmission delay, signal or quality loss at a distance of 9 metres. The pairing process is quick and convenient and can connect to two Bluetooth devices at the same time, prioritizing the last one that has been interacted with. The Bose SoundLink has a built-in microphone dedicated for high quality calls which performs very well in noisy and windy environments, delivering clear voice calls. 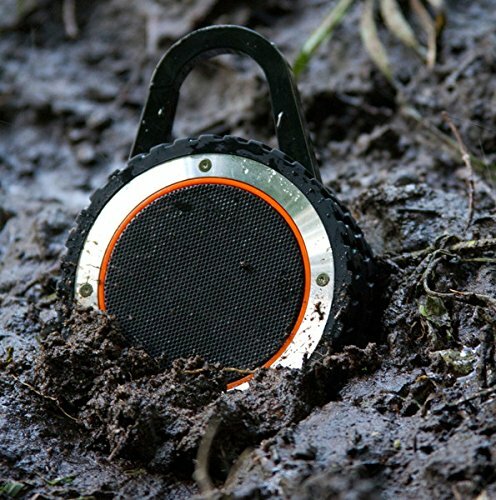 They have a long lasting battery life that holds up to 15 hours of continuous audio playback and recharges in 3 hours. The headphones are lightweight and comfortable to wear, which makes them an ideal choice to be used during commutes, travels, or any other kind of activity. 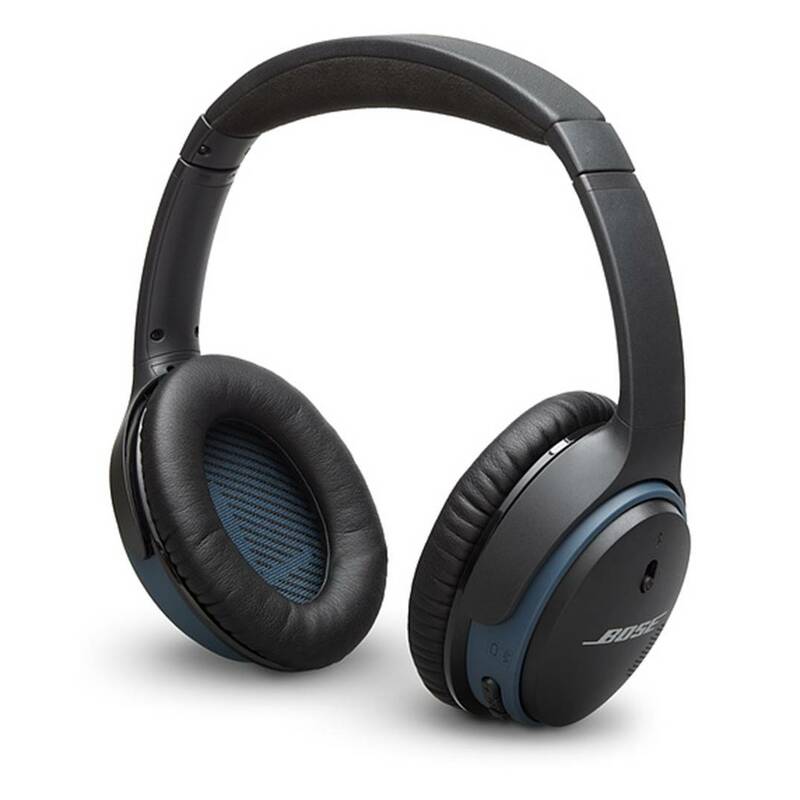 The Bose Quietcomfort 3 are a pair of closed-back, noise cancelling headphones that produce high quality audio and help users achieve uninterrupted listening in any kind of environment. Its noise cancelling feature can lower the environmental noise drastically, working best with consistent, sustained noises such as traffic, air conditioning, or office noise. This feature is battery powered, lasting up to 25 hours of usage when charged fully. Its closed back design also ensures that as little external sound as possible gets to the listener. The acoustic drivers on the QC3 delivers audio straight into the users’ ears, creating a clear and focused sound that emphasises details and highlights musical nuances. The headphone’s design ensures a comfortable experience through its ergonomic design, soft padded headband and cushioned earcups. Those features allow the user to wear the headphones for long periods of time without any inconvenience. The headphones are very light in weight which helps the listener to get easily accustomed to their weight and presence. It has a replaceable wire which features an in-line microphone and remote for controlling calls. We liked the fact that these headphones come with two audio cables, one with mic/remote for iPhone/iPod control and hands-free iPhone calling, together with a travel case for portability. The noise cancelling feature also works very well, and blocks up to 95% of ambient background noise when turned on. There is also no hissing noises when the noise cancellation is switched on. 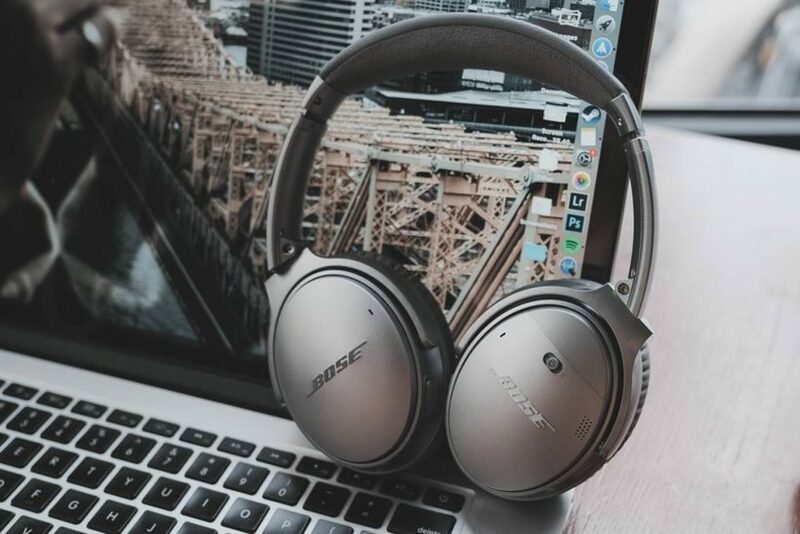 The Bose Soundlink on-ear headphones deliver high quality audio and maintain a high level of convenience through the use of wireless technology. The Bluetooth connectivity which enables the headphone to be wire-free is reliable, easy to use, and maintains high quality. The transmission protocol keeps the audio high-fidelity, with no latency or signal loss. It delivers uninterrupted audio to up to 9 metres and performs well through thin walls or doors. In terms of sound quality, the Bose SoundLink on-ear headphones deliver crisp highs, detailed midranges and decent bass performance. The bass adds a layer of depth to the overall music quality together with low-end frequency punch. Although the headphones are on-ear, they leak minimal sound and maintain a consistent level of quality through all volume levels with virtually zero distortion. The Bose SoundLink on-ear headphones are battery powered, lasing to an impressive 15 hours of continuous audio streaming and taking 3 hours to recharge fully. They also feature a quick recharge system, which provides users with 2 hours of playback for 15 minutes of charge. They are designed to be lightweight and comfortable having adjustable headband and earcups which can suit anybody regardless of age or size. Users quickly adapt to the headphone’s weight which make them almost undetectable. The Bose Soundlink on-ear headphones also feature a built-in microphone which enables hand free, high quality calls for a convenient experience. The microphone performs very well in noise and windy environments, rendering the voice clearly for the receiving end. The Bose AE2 are a pair of around-ear headphones that produce high quality sound and ensure a comfortable listening experience. They are compatible with most devices as it has a wired connectivity which ends in a 3.5mm jack plug that delivers reliable high quality audio without any interference, noise or crackles. Its padded ear cushions fit around the ear of the listener, delivering an immersive and comfortable experience. They also feature an adjustable padded headband that adapts to each user, making the headphones hardly noticeable after a short adjustment period. They can be folded flat for easy transportation and storage. The sound performance of the Bose AE2 is superb, with crystal clear highs and vocal performances. The sound signature leans more towards the airy side, providing a clean soundstage and good detailed separation. This headphone is great for picking out minor details in the music which may not be audible on traditional closed-back headphones. The Bose AE2 are made out of high quality, durable materials that ensure they last a long time even with intensive regular usage. They have a closed back design which ensures that the audio is fired directly into the listeners’ ears and not no audio is spilled. This feature also makes them great at being used in public spaces. They feature the TriPort acoustic headphone structure which ensures that high quality audio is delivered consistently. 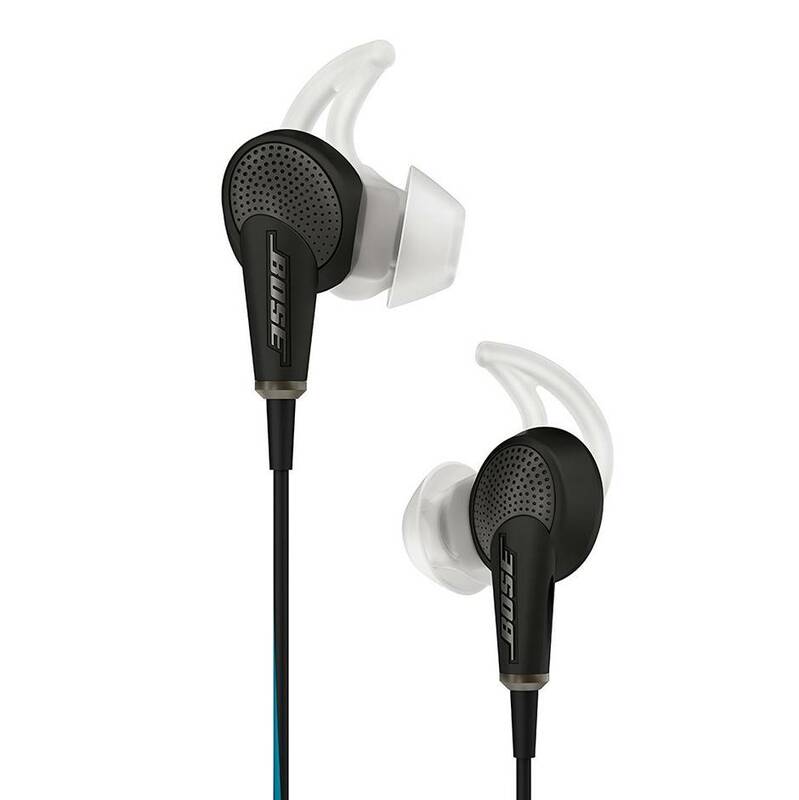 The SoundTrue Ultra by Bose are a pair of in-ear headphones that are comfortable and deliver high quality audio. They have a deep, rich sound across the whole frequency spectrum, with a tight and punchy bass, clear mids and crispy highs. They have been designed to be acoustically sealed which means that all the sound produced by the headphones is received by the listener and none is spilled or lost. In terms of sound quality, we thoroughly enjoyed the deep and rich sound that these headphones have to offer across a wide frequency range. They provide a good acoustic seal over the ears and enhance the lower-end bass response. This makes these in-ear headphones perfect for sports and gym activities where you can listen to punchy music at good volume levels without any distortion. We liked the fact that these in-ear headphones come with three different tip sizes to fit any kind of ear shape and size, ensuring a snug fit that complements the ergonomic shape of the earbuds. They fit securely in the ear, with no chance of falling or moving around, keeping a consistent, good audio quality. The SoundTrue headphones are also equipped with an in-line microphone and remote which allows for convenient controls of the device and which also deliver high quality voice calls. The earbuds are lightweight and durable, being hardly noticeable after a short adjustment period and able to withstand intensive usage for long periods of time. They come with a carrying case that protects the headphones during transportation. 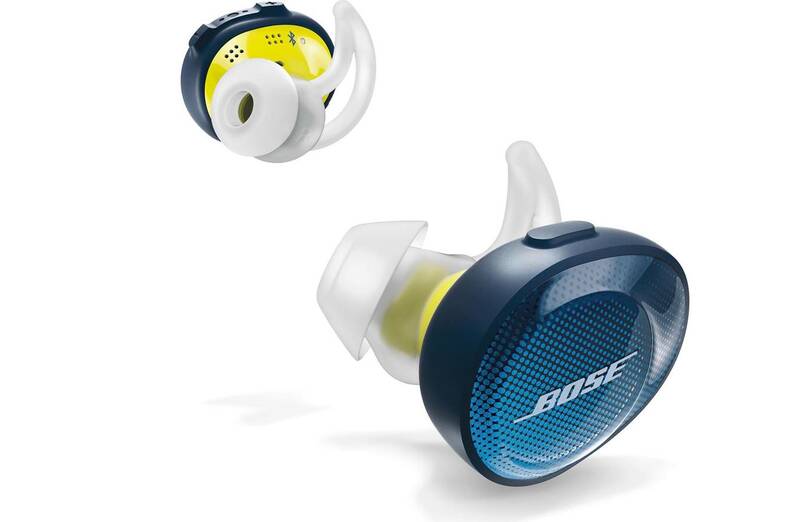 The SounSport in-ear headphones have been designed by Bose for intensive usage during training sessions. They are very comfortable, coming with tips in three sizes that can fit any kind of ear shape and size, ensuring a comfortable fit. The earbuds stay secured tightly, with little chance of falling out or moving around, which ensures a continuous and consistent audio experience. The ergonomic design ensures that they are comfortable and efficient, and the light weight of the headphones makes them hardly noticeable after a short period of wearing them. Sound performance wise, these headphones deliver crystal clear audio performance with virtually no distortion at high volume levels. The bass output is decent and does not muddy into the midrange frequencies. The highs and mids are crisp and clearly defined, and we thoroughly enjoyed listening to music on these headphones together with audiobooks and podcasts. They are sweat and weather-resistant, meaning that they are able of withstanding moderate amounts of water and humidity, which enables the users to wear the headphones during intensive training sessions or during rain. They are equipped with an inline microphone and control which make them very convenient to take calls and enjoy a high quality voice call with no interruptions or bad sound. These headphones are made out of durable and high quality materials which allows them to be used for long periods of time with little risk of damage. The Bose QuietComfort are a paired of in-ear headphones with sound cancelation abilities that deliver high quality audio experiences. The built-in noise cancellation system works very well at reducing the level of background noises such as traffic, office noise or equipment, allowing the music to stand out uninterrupted, or even just providing a quieter experience. They have an ergonomic design that is enhanced by the Stay Hear tips which fit securely to the listeners’ ears regardless of shape and size. The sound quality of the QC20 headphones is enhanced by the noise cancellation functionality which makes the bass and highs feel somewhat enhanced. It has a pretty V-shaped sound signature with a good emphasis on the highs and lows, although the midranges are crucially well-defined. 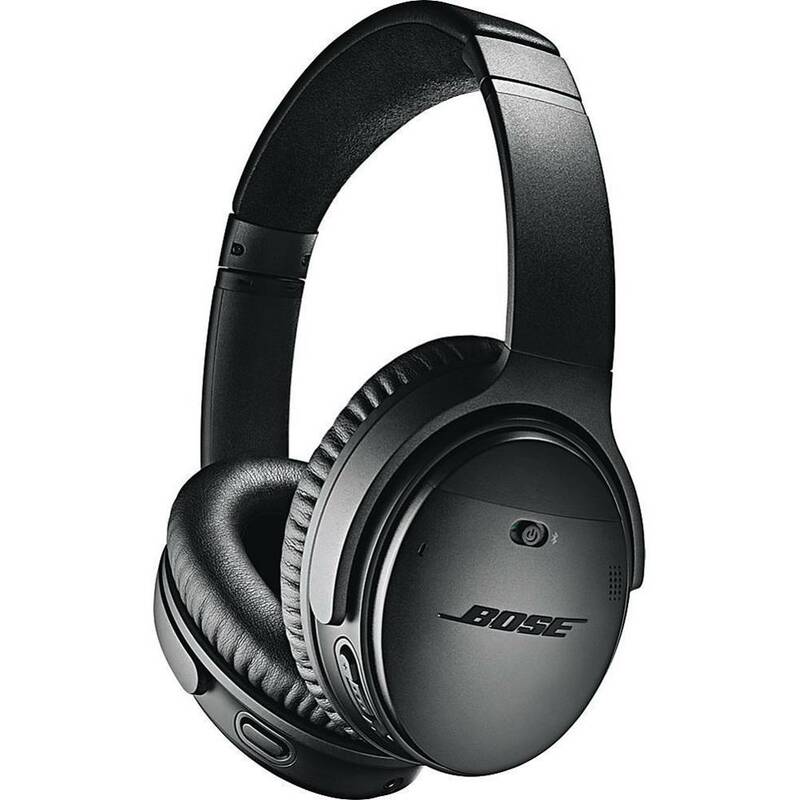 They are great for rock and pop music genres with the noise cancellation switched on to block background noises from entering. These in-ear headphones fit snugly in the users’ ears ensuring a consistent and reliable audio experience, with no risk of falling out or moving around. The TriPort technology developed by Bose and Active EQ ensure that the audio is maintained to the highest quality, the EQ having the ability of creating a bespoke experience depending on the genre of music that is being played. The headphones also feature a. inline microphone and control that allows for quick and convenient high quality voice calls, as well as control over the playback of music. These in-ear headphones have been built with high quality, durable materials that are able to withstand intensive usage and last for a long period of time. The Bose SoundSport are a pair of truly wireless headphones designed to be used during intensive workout sessions for a hassle-free, high quality audio experience. They are wireless enabled through the implementation of Bluetooth technology which delivers a reliable and high quality audio experience, without any transmission issues or delay. Their ergonomic design allows for a comfortable fit and is enhanced by the three interchangeable tips that allow the earbuds to be worn by anyone. They fit snugly into any kind of ear shape preventing the headphones from falling out or moving around. These headphones sound pretty good in outdoor spaces, delivering crystal clear audio performance for audiobooks and podcasts. We tested these headphones for hands free calls and the call quality was surprisingly clear and uninterrupted, with no problems hearing the other person on the line. 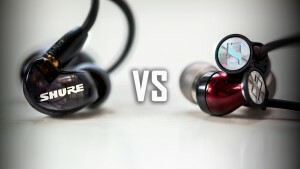 They are also great for music, although somewhat lacking in bass due to their small in-ear design. 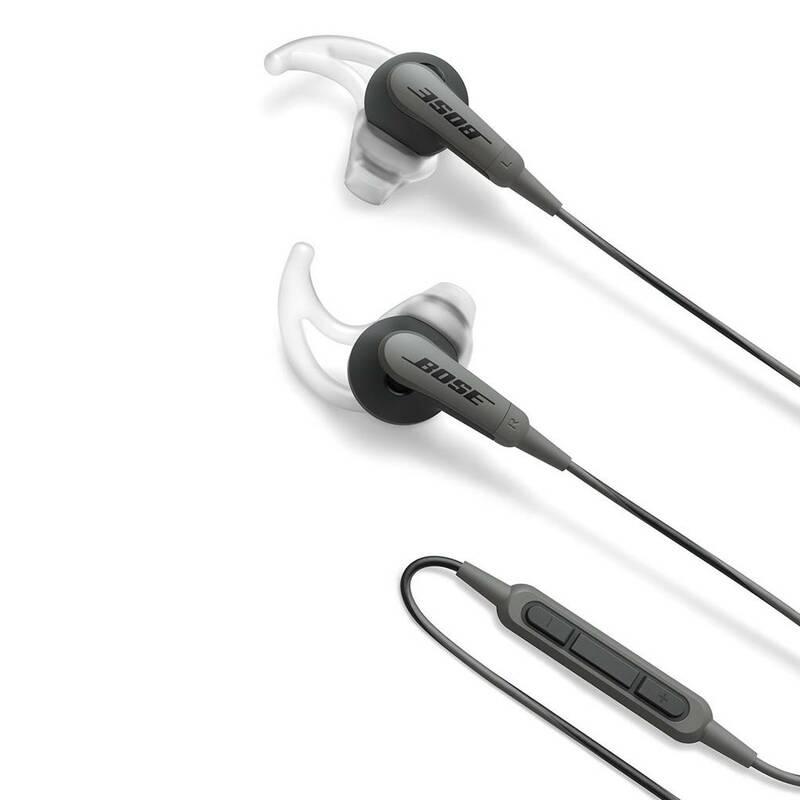 The Bose SoundSport True wireless in-ear headphones are sweat and weather resistant, meaning they can be used in humid conditions without damaging the electrical parts. The SoundSport can deliver 5 hours of continuous audio playback, extending the time to 15 hours using the provided charging case. In case they are lost, users can find the headphones using Bose Connect Application’s ‘Find My Buds’ feature which allows you to detect the location of your buds. These in-ear headphones have an integrated dual microphone in the right bud which allows for high quality, hand free voice calls without interrupting workout or activities.